Pension is for the primary beneficiaries of deceased members who have contributed at least 36 monthly contributions before the semester of death. Lump-sum is for primary beneficiaries of members who contributed less than 36 monthly contributions before the semester of death. If there are no primary beneficiaries (no spouse and no children), the dependent parents receive the lump-sum cash benefit). Pension amount or lump-sum amount depends on the number of credited years of membership and average monthly salary credit. – For members who died in a workplace accident or due to an occupational illness, additional Employee Compensation benefits are given to beneficiaries. Note: File your claim at the SSS branch nearest where you live. – The death benefit amount is a percentage of the Total Provident Benefits. The Provident total is the sum of the member’s monthly contributions, employers’ contributions for the member and dividends. Yong death benefit sabay na ibinibigay sa Total Provident Benefit. Isang claim form lang siya. Note: File your claim at the branch where the member’s records are kept. Note: If you’re an OFW, make sure your membership is always current. My relative paid his OWWA membership for the almost 30 years he worked abroad, but because he worked for two straight years during his last contract, he was not able to pay his OWWA membership, so his family’s claims were denied by OWWA. You pay your OWWA when you pay your OEC or Overseas Exit Clearance or Balik-Manggagawa (BM) papers at the POEA or at any accredited OEC payment center or service. The OWWA membership fee is 25 US dollars, payable in pesos. – This refers to life insurance policies purchased from private insurance companies such as Philam, Insular Life, and BPI-Philam Life (formerly Ayala Life), Sun Life, Manulife, PNB Life and others. – There are life and accident insurance policies offered by banks as added benefits to certain special bank accounts and time deposits. – An example is the BPI Get Started Savings Account with Life Insurance. The account comes with a free BPI-Philam Life insurance equivalent to 5 times the account’s balance, up to 2 million pesos. Balance means the average month-to-date average daily balance of the past three calendar months prior to the death ofthe insured. – This is for credit cardholders who have purchased credit life insurance and life insurance policies from or through their credit card issuers. – Examples are the Assure and Saver life insurance programs of Axa Philippines, a joint venture between Metrobank and Global AXA Group of France. – Some memorial companies give financial assistance or death benefits to the beneficiaries of those who pass away while still paying their memorial plans in monthly, quarterly or yearly installments. – For instance, the St. Peter Life Plans with Return of Premium policy gives cash assistance to beneficiaries if the planholder dies during the paying period or within 5 years after full payment. There’s also additional benefit for death or loss of limbs or eyes due to accident. – HMOs provide primarily hospitalization benefits, but most of them also provide death benefits to HMO members’ beneficiaries. – An example is the INTELLICARE corporate HMO program of Asalus Corp. This HMO plan gives cash assistance of 10,000 pesos for natural death and 20,000 pesos for accidental death to the beneficiaries of principal HMO cardholders. – Separate death benefits for employees of companies with retirement, incentive or insurance programs for their employees. Usually ang mga big local companies and some foreign multinationals ang merong ganitong Death Benefits in the Philippines. I looked at Book 4 of the Labor Code of the Philippines (titled Health, Safety and Social Welfare Benefits) and I saw that the only mandatory employee benefit related to death is that given by SSS. Mandatory for employers na tapatan nila ang SSS contribution ng employees. And later, naging mandatory rin yong employers’ share sa PAG-IBIG contributions. – Some OFW employers give death benefits, especially to the beneficiaries of long-time employees. If the OFW passes away while on vacation, the primary beneficiary should email the employer, together with a copy of the death certificate and a copy of marriage or birth certificate, and request for any financial benefit. – There are some cooperatives that provide death benefits or financial assistance to the beneficiaries of members. An example is the Center for Community Transformation (CCT), which has a group insurance partnership with Philam Life. – In our barangay and nearby barangays in our province in the North, there is an association called SARANAY. Whenever someone in the barangay dies, each family in the barangay contributes a certain amount of money (the same amount for all families) to accumulate money for the bereaved family. A total of 10,000 pesos (50 pesos times 200 families) is already a big help in the province. I am proud of my mother, who is now in her 80s, because she and her friend were the ones who started this program years ago in our rural area, and now this program has spread out into other barangays. May death benefit ba na nakukuha sa PHILHEALTH? Sori, WALA, kasi hospitalization or medical treatment cost assistance ang focus ng Philhealth. Note: We are not familiar with death benefits provided by the GSIS, AFP or PNP, so we will not be able to answer questions about these benefits. – Survivors’ monthly pension or cash benefits to primary beneficiaries (legal spouse and minor children up to 5). If there are no spouse and children, death benefits are given to secondary beneficiaries. – For members who died in the course of work or due to an occupational illness, additional Employee Compensation benefits are given to beneficiaries. – Proceeds of compulsory and/or optional life insurance policies and/or educational policies and/or accident insurance policies for beneficiaries of members who participated in these optional programs. Note: GSIS has several retirement and life insurance options, kaya iba-iba ang pag-compute ng amounts of death benefits received by beneficiaries. If you’re in the Muntinlupa area, and you would like to purchase a St. Peter Life Plan or St. Peter Memorial Plan, just make a comment below, and I’ll email you the name and cell phone no. of a St. Peter agent. Sabi ng agent na ito, bibigyan daw ako ng referral fee or konting deduction sa monthly payment ko sa plan ko kung meron akong mai-refer. Sa dami ng pre-need na naba-bankrupt, bakit ako nagre-refer ng memorial plan? Baka sakali lang na naghahanap ka ng ganitong plan at meron kang tiwala sa St. Peter. Hindi naman sila na-bankrupt noong kasagsagan ng pre-need collapse. At hindi naman sila focused sa pera, kundi sa memorial chapels, caskets at memorial services. Meron daw silang malawak na taniman ng mga trees (forgot the tree name) which they use to make caskets. Hindi natin alam, baka ma-bankrupt din ang St. Peter, kung ma-mismanage (of course, hindi sana), pero nakita ko kasi yong hirap nang namatayan, kaya kumuha rin ako ng plan, para hindi mahirapan ang anak ko, lalo na at only child siya. Pero lagi kong ipinagdarasal na pahiramin pa ako ng Panginoon ng mahaba-habang buhay para mapagtapos ko pa siya sa college, at makatulong pa ako sa extended family members. Hi San, yes, basta approved Pag-ibig housing loan, at kelangang i-process ng legal heirs ng member (spouse or kids, or parents if single) ang pag-claim sa house and lot. At dapat yong member noong nabubuhay pa ay updated sa payments (hindi foreclosed). Kung meron mang arrears ay kakayanin pang bayaran. Ang magbabayad sa balance from date of death ay mortgage redemption insurance (MRI). Gud am po…tanong ko po..last january namatay yung live in partner ko…mahigit 9 years mahigit kaming nag sama pero wala po kmi anak..may karapatan po ba akong claim sa sss niya..? SCHOOLS -Many schools (NOT ALL), public and private, carry group insurance plans with insurance companies, providing life insurance coverage (thus death benefits) to their enrolled students, POSSIBLY EXTENDING TO THEIR LEGAL PARENTS. Are you familiar with Compulsary Insurance Coverage for agency-hired OFWs? I would like to know when did it start to provide insurance to agency-hired ofws? Thank you so much! Hello po. Tanong ko lang. Nastroke po kasi yung papa ko sa saudi nung dec 31 2017. At inuwi sya dito ng april 2 2018 na bedridden na. Namatay sya nito lang july 30 2018. May macclaim pa ba syang benefits kahit na naglapsed na yung membership nya nung march 2018 kasi hindi na sya nakapagrenew kasi ganon na ang sitwasyon nya? I need an answer po please. Thank you. Hi Estela, tingnan mo yong records niya at tingnan mo yong date ng kanyang latest OEC payment receipt kung nakasulat don ang OWWA payment niya. Kung yong date of death niya is within 2 years from date of receipt, puede kang mag-file ng benefit claim sa OWWA. Hi Luningning, sorry, hindi ko sure kung ano ang patakaran ng St Peter, kasi ang definition ng beneficiary sa St Peter contract ay “the person designated by the planholder, in accordance with law, to receive the plan’s insurance proceeds”. Doon sa Insurance Benefits section, nakalagay “For the protection and by way of assistance to the planholder and his/her family or beneficiary…” Sa law, kung non-family member ang beneficiary, itong beneficiary ay dapat magsa-suffer financially kung namatay ang planholder. In other words, dependent yong beneficiary sa planholder when he/she was still alive, for example, co-owner ng business or key employee. I’ll email you if I see my St Peter agent. kahit po ba hindi family related/member ang inilagay na beneficiary sa st.peter eh makukuha niya ang benefits?EX: may mga kapatid ang namatay pero ang nasa beneficiary is yong friend niya,tanong ko po,makukuha ba ng friend niya yong benefit? good day ma’am, sa pag-ibig po ba may form ng death claim? kc d ko mahanap sa site nila ung form ei.. salamat po. Hi Andy, condolences to your family. Yong OWWA receipt ay valid for 2 years. Kung more than 2 years na ang lumipas from the date of last OWWA receipt, sorry hindi na siya qualified to get death and funeral benefits from OWWA. So sad, pero ganyan din ang nangyari sa brother-in-law ko, walang nakuha sa OWWA, kasi noong mag-renew sana sa POEA ay pinapostpone pa ang payment niya. Ang puede kahit expired na ang OWWA membership is yong repatriation assistance: airport assistance, temporary shelter at the OWWA Halfway Home, psycho-social counseling, stress debriefing, and provision of transport services or fares for their onward travel to their respective provinces. Pero magtanong pa rin sa OWWA. Good day,namatay po ung tatay ko sa qatar at sya po ay hndi nkapag update ng payment sa owwa..then savi inactive n xa.may makukuha at magkano po kaya ang makukuha sa owwa thru welfare assiatance? Hi Jerica, puede mong tawagan ang Pag-ibig kung nakuha na ng papa mo ang benefits niya noong nag-retire siya: 724-4244. Kung nakuha na niya noon, sori wala nang makukuha pa sa Pag-ibig. Tanong ko lang po retired pnp po tatay ko at 29 yrs in service sya non, ngyon po namatay sya bukod po sa burial sa gsis may makukuha pa po ba kami kahit 29yrs old na po ako pero wala trabaho dahil ako po nagalaga sa tatay ko at only child lang po ako. Hi Rolan, anong age niya noong namatay siya? 60 years old or older ba? Sa GSIS, merong mga prescription periods (deadlines o time limits) ang pag-claim, pero ang life insurance at retirement benefit claim ay walang prescriptive period, so visit the nearest GSIS branch asap with your IDs, birth certificate and death cert of your father para magtanong. Ang funeral at survivorship benefits ay dapat nai-file within 4 years of date of death. I hope ma-share mo later on kung ano ang decision ng GSIS sa case ng father mo. Hi Rolando, sorry pero 2 years lang ang validity ng OWWA membership. Dapat active OWWA membership. Mam Nora ofw po husband ko for less than 7mos. Sa Saudi thrailer truck driver cya di na cya bumalik Saudi the after that..kamamatay LNG nya dis year dito sa pilipinas..ask ko if may makukuha ako burial/funeral assistance fr owwa? Tatanong ko lang po sana kung makakakuha padin kami ng burial/funeral assistance sa owwa? 2012 po umuwi papa ko OFW siya before. Hi Ms Nora! Ask ko lang po kung may claims. Namatay kasi yung kapatid ko pero hindi cya member ng SSS kasi di nman cya nagwork pero yung nagbayad po ay member. Pwede po ba kayang magrequest for burial/funeral assistance. Salamat po! Good day! Ma’m Nora pwede po ba magapply for gsis survivorship ang kapatid ng isang miyembrong namatay na walang asawa’t anak? Salamat po! Inabandona po kami ng father ko bata plng ako. Muslim po ang father ko at may asawa din po siang iba. Bale dalawa po pinakasalan ng muslim father ko. Ngayon mo namatay ang nanay ko. 35yo po ako pede po kaya ako sa survivorship sa gsis nya. tanong ko lang po, pwede pa po bang makuha yung death benefits ng father ko sa sss kahit 5 years na mula nung namatay siya? good day Ms. Nora, ask ko lang if meron death benefits na makukuha ang retired teacher sa philippine public school teachers association? thanks. can i send a private message in ur email. may questions lng po aq. and sana po sa private..
Hi po ask ko lang kung pwede bang ung mother ko ang mag uwe sa pinas sa father ko na namatay kahit matagal na silang hiwalay pero not legally separated sila? Ung ate ko kasi gusto niya siya ang mag uwe sa father namin. Hi Rudy, yes, tama, dapat nag-pension din yong mother ninyo, kasabay ninyo, kasi she was legally married to your father. Ang primary beneficiaries na magpe-pension ay legal spouse and minor children. Hindi ko lang alam kung dependent’s pension ang amount na naibigay sa inyo, kasi kayo lang ang nag-claim, meaning puedeng nakuha nio rin yong share ng mother ninyo. Pero kung dependent’s pension lang ang computation, meron dapat adjustments for your mother. Icheck mo yong initial voucher na na-receive ninyo before you started receiving your pension. In the meantime, prepare your documents required for your mother to claim. Qualified ang mother ninyo basta hindi siya nag-asawa ng iba or hindi nakisama sa iba. Hi Nenn, do you mean the NSO issued a CEMAR instead of a CENOMAR because there was a second marriage to the second wife? If yes, then the second marriage is valid, so the second wife has the right to claim if she has all the documents, even if it’s not fair because they did not live together as husband and wife, and you were the one who spent for his funeral. The only remedy is for you to plead with the second wife, explain your expenses and ask what will make her sign the waiver. You can also mention that it’s a waste if the benefit cannot be claimed. By the way, before talking with the second wife, ask OWWA first if they will consider a waiver from the second wife (that your father never lived with), and if they have a specific waiver form. Hi po..my husband po ay member ng SSS.Nag trabaho xa sa isang kompanya mga isang taon na. meron nga siyang SSS number.peru na terminate sa trabaho.after 11 months namatay po xa.may ma kukuha ba akong death at burial benefits?. Hi po, my husband signed his contract in January 26, 2017 with his agency. He went home on the 27th because his flight was supposedly on the 3rd of , about 5 days later. He was a ship captain. Too bad he died on the 28th at early dawn for an unknown cause although doctors found out to be sudden cardiac arrest. Can i ask assistance from the company or agency? Aren’t seamen insured, so can I be paid for it? What insurance can i ask assistance from? You mentioned BPI and others, an i ask them too? salamat po maam Nora. Hi Xavier, sorry there are no formal government programs that grant funeral assistance to non-members of SSS, GSIS, Pag-ibig, OWWA or cooperatives. Some local governments assist by way of lending chairs and tents for free. Relatives of your fiancee can ask for some financial assistance from public officials. Hi Beth, bago ba namatay ang pamangkin mo, sa Pag-ibig na ba siya nagbabayad ng monthly amortization? at hindi sa developer? Kasi Pag-ibig ang merong mortgage redemption insurance (MRI). Kung Pag-ibig na siya nagbabayad, ibig sabihin nakakuha na siya ng housing loan from Pag-ibig at merong mga loan documents from Pag-ibig. Kung Pag-ibig, yes, after he died, dapat nag-file na ng mortgage insurance claim yong wife niya, or parents (kung single), or siblings (if no wife, no parents) para makuha na yong title ng property. After matapos itong housing loan processing, iki-claim naman yong Provident benefits. Dapat din na updated sa pagbabayad ng monthly amortization bago siya namatay. Kung meron mang mga arrears, dapat mga ilang buwan lang. Kung Pag-ibig housing loan nga at updated sa payments, mag-file na dapat ng claim yong wife or parents or siblings, depending kung sino ang primary beneficiary. Hello po, nais ko lng po malaman kac namtay na po pmangkin ko two yrs ago, kulang 3 yrs na po cya nakabayad ng housing loan nya sa pag ibig, sa pagkakapaliwanag sa amin bago kami kmuha ng housing loan,pg nakabayad po ng 2 yrs at bgla nmtay ang may ari, automatic wala ng babayaran ang benefeciary,pero hndi po ganon ang sabi sa amin, gusto lng namin maliwanagan,at maintndihan tnx po. Hello Nora, Fiances mom just passed. I dont think she had any contributions to SSS. Are there any goverment lrograms that you know of that could assist her? Hi donna, yong stepmother mo, hindi na maka-claim kung malaman ng SSS na matagal nang hiwalay from your father mo at nagkaroon din ng other relationship. Pero kahit hindi siya maka-claim, makaka-claim pa rin yong minor child (yong stepbrother mo na 15 years old). Yong stepmother mo na guardian ng minor child ay maka-claim as guardian of her minor child, but not as spouse (kung malaman ng SSS na matagal nang hiwalay from your father). Sorry, pero dahil merong minor child ang iyong father, this minor child lang ang puedeng claimant, at ang kanyang guardian. Ask others too. Hi po.. My father died sept2015. All of us legitimate children were all above21 yrs old now. Kaso po di po namin maifile ang sss death claim ng father ko kasi lumabas sa CENOMAR na kasal sya kay stepmom. Kaso po year 2000 pa po sila magkahiwalay ng papa ko.they had 2 sons. No communications at alam namin na may common law husband ang stepmom nmin.such time ng death ni papa lang nmin nkita ulit ang stepmom ko. Nung nagfile po kami ng sss death claim,dineny ng sss bacoor branch ang sister ko. Ang kailangan daw magfile ay ang stepmom ko. Possible po bang madeny kmi to claim the benefits?almost 14yrs ago wala ng communication ang father at stepmom ko. Baka po maforfeit lang ang death claim at sayang lang kung di mkukuha. She had dependent child p and i think my stepbrother is now 15yrs old. Ano po b dapat gawin? hi,sss member po ako, namatayan po ako ng ama, tanong lang po, may makukuha po ba ako na tulong sa sss? Hello.. panu po if nmatay s hospital due to comatose?my mkkha po bng burial assistance po? Incase po first contract po xa dun un my maavail prn po b xa? Panu po qng wla xang sss, pag ibig.. my assistance prn po b xa from owwa? Hi Sarah Jhean, this is about Taiwan Labor Insurance’s burial subsidy? Sorry, ito ay para lang sa parent, spouse or child. Hi vilma, based sa sinabi mo, hindi ka naman nag-asawa uli at wala ka namang bf (nai-stop ang death pension in these cases). magandang umaga,hapon po sainyo,ako po si Vilma Macabidang Pimentel,ang asawa ko po ay si Louie Baldos Pimentel,siya ay namatay sa isang aksidente, may dalawa kaming anak na si Harold at Jhon Patrick Pimentel. Ang gusto ko lang itanong kung Bakit po nahinto yong pension namin,Ako po ay nandito sa abroad at nag tatarabaho.at ang nagaalaga ng mga bata ay ang kamilang lola na si teresita baldos pimentel,kailangan ko sana ung maituloy na pension nila,mga bata pa sila panganay 14yrs old harold, bunso 12yrs old jhon patrick pimentel.halos mag 1yr na po na wlang pension cla..d ako makareport dhl malayo ako sa pilipinas..ung lola at lolo lang yong nagaasikaso sa kanila..sana masulosyonan po yong problima ko,kc maliit lng din po ung sahod ko dito sa abroad..isa din po sana sa maasahan ko yong pension namin,dagdag sa pag gamit ng mga anak ko..marami pong samalat..
Hi Gemma, it depends on your uncle’s OWWA receipt. Find his last OEC. Andon yong dates ng OWWA payment. Usually for 2 years. If the receipt covers up to July 7, then your aunt can claim benefits from OWWA. If not, your aunt can ask OWWA. Have a nice day too! Hi Ms.Nora my question po ako sayo about my uncle that he passed away last thursday July 7,he worked in abroad more than 20 years then nag stop cyang magabroad last 2014,but his wife worked in Israel for 1 1/2 years then umuwi cya kc namatay ang husband nya ( my uncle)meron po bng makukuha ang tita ko sa owwa?alam ko my mkikuha cya sa SSS kc active cya sa paghulog!yon lng po have a nice day .thank u…. Hi jv, your mom is the primary heir of your father, so it’s her who can get your father’s money. Most banks do not honor SPAs in many types of transactions. Is your father’s pension from the US or from SSS/GSIS? If SSS, your mother can file for the transfer of your father’s pension to her at an SSS office in the U.S. if there’s one near her area. If US pension, it depends on what options your father chose when he retired. good day my dad died last feb.kinukuha po namin yung pension nya sa bdo sabi po nila dapat ang mom ang kumuha pero my mom is in the states di po sya makaka uwi.and we badly need the money to pay the house and renovate po.last time we ask kng pwedeng mag submit na lang kami ng SPA ni mommy.di daw po pwede need talaga po na umuwi.is there any other legal way po.i need plan B.since hindi ko pa po naipapasa yung SPA sa bank.na susubukan ko lang po baka makalusot. Hi Suzette, based on the DOLE’s handbook on monetary benefits, separation pay is given to the employee if he is terminated from work due to company closure, retrenchment or incurable contagious disease. Your employee was not terminated; he died. I don’t know how big or small your machine shop is, but if you are able to give more assistance, and if you have at least 10 employees, and you have not given the employee 5 days as service incentive leave per year during his employment, you might want to give the family 5 days x 9 years = 45 days, equivalent to his salary for 1 1/2 months. By the way, I’m not from DOLE, I just read the DOLE’s handbook. I’ll email you the handbook. Sad that your email was not valid. You can write your correct email, if you like. Last April 22, my husband died due to unknown cause. He slept and never woke up. He had an illness while he was a seaman, and was terminated so he can complete his medications. He was not able to get back onboard for 4 years. Are we entitled to benefits from amosup po? Mrs Nora, we have a machine shop and we have an employee who died of heart attack outside work, at home. He’s less than 60 years old. Are we obliged to give a seperation pay? He worked for us around 9 years. We gave financial aid worth 35K for expenses at the hospital and burial. As far as i know, separation pay is optional po or we don’t really have a legal obligation to give separation pay? Hi denzen, before I answer your questions, may I know these things first? Do you mean your father’s retiree pension was around 8k per month? You did not mention your mother. Is your mother is still living? Are there any of you, the children, who are under 21 years of age? What do you mean when you said “the death benefit which is monthly pension is 2,400 per month only?” Or was it SSS that told you this? Hi nora. my father just died this month and he was a retiree and only around 3 months that we got his monthly pension since he retired. Suddenly, he died, will his monthly pension as retiree be stopped? The amount is a bit big, around 8k per month and then the death benefit which is monthly pension of sss is 2,400 per month only. So what do you think will we get? I would like to get assistance as well how to get death benefits of my father. He is also an AMOSUP Member for I guess more than 30 years. SSS was already claimed. We’re not aware of other benefits we can get. Please email me at . Hope to hear from you soon. Thank you. I would like to get assistance as well how to get death benefits of my father. He is also an AMOSUP Member for I guess more than 30 years. SSS was already claimed. We’re not aware of other benefits we can get. Please email me at owengagaoin@gmail.com. Hope to hear from you soon. Thank you. Hi Algien, sad to say, you cannot get any death benefit from owwa because your mom is not the ofw and not the owwa member. Sad to say that owwa does not offer a death benefit for dependents. Ask others too. I hope you can get assistance from your town’s politicians. Hi mitch, that depends on your father’s company. If group insurance is one of the benefits given by the company, then maybe the company is waiting for the insurance company to pay. Request the company that they give your father’s last pay and other assistance ahead of the insurance because you need the money. For SSS and Pag-ibig claims, you need to file your claim at SSS and at Pag-ibig. hello po I need po advice if we can get immediately the payment for my father from the company because they have not given anything. Does it need to be released together with the insurance? Hi. My husband died last feb18. He had a total 37 contribution in sss,last posted in Feb. Were legally married and had our 7 months old Son. Are we entitled w/the monthly pension death benefits? Thank you. Hi faith, is your email address here correct? I will send you the list of requirements and the steps you need to do. Hi Amparo, sorry, there’s no death or burial benefit from Philhealth. Is there a death o burial benefit that can be claimed by a member of philhealth insurance corporation? Hi Rowena, yes, most active seamen are OWWA members. Search your husband’s papers and check his last OEC (Overseas Employment Certificate) or OWWA receipt (if paid separately) and the validity dates of his OWWA payment. Usually, the validity is two years from date of OEC payment. If the date of his death is within the validity dates in his OWWA payment, then you can file your claim at OWWA. Xerox his OEC. If you can’t find his OEC or OWWA receipt, and you’re almost sure of the dates, you can go to OWWA with your IDs, marriage certificate and your husband’s death cert and inquire. Hi Darwin, if the member is single, the primary beneficiaries are his children if he has children, and his parents. If both parents have passed away, and there are no children, the beneficiaries are all the grandparents. If none, the beneficiaries are his siblings. Can claim death benefits if the befeciaries mother of the member has passed away? Hi ZAM, did you file all the required documents like EC accident/illness report? I suggest you write on the wall of the SSS Facebook page https://www.facebook.com/SSSPh/ and ask the person or department which you can contact and follow-up your EC funeral benefit claim filed 3 years ago. It’s been 3 years that my husband passed away. until now his ec burial benefit has not been released. SSS cannot give me an answer why my check has not been released. non-interest earning means that the cenikchg account will not earn interest regardless of how much is deposited in that cenikchg account. are you applying as a business or personal? i did not have this experience when i needed to open a cenikchg account for the purpose of renting a condo. Good day ms Nora. this is about SSS burial benefit. my friend married a balik Islam. she’s the second wife. Married in a Muslim ceremony. Can she claim the burial benefit because she was the one who managed the burial and spent for everything? he was an ofw po. She’s the declared beneficiary at Owwa. Hi Po Ms. Nora. Tanong ko yong friend ko namatay on duty. Nakapag-claim na po sila nga mga benefits sa sss except sa E.c sss. Dahil ng na-check po ng sss na hinabulan lang sya 5 months ng hulog sa sss. Sarado na po ngayon yong company na employer nya. Sabi po ng company kung my idea dw po kami magkano computation ng sss sa ec nya babayaran na lng daw po ng dating employer nya. Posible po kaya un at totoo po ba doble bayad nyan pagnamatay siya on duty? Hi artseh, is the SSS branch near your house a big branch or a regional branch? Process the funeral benefit first, and try there at the branch nearest your branch, so you can see and get advice. Can I process at the sss branch nearest our house the sss death claims of my father even if it’s in manila where he died? Or does it have to be processed in manila? Ms. Nora, My father died last mAy 14, and he is an active member of PhilHealth .. Are we allowed to use his pHilhealth? Hi ronan, do you mean SSS death benefits? Did your father register correctly and pay SSS contributions when he operated his business? If yes, your father’s principal beneficiary are your mom and any child under 21 (marriage cert, birth cert and death cert). The funeral benefit (20,000 pesos) will be given to the one who spent for funeral costs (funeral OR and death cert). Plus SSS claim forms. If you like, your mom can email ofw.relations@sss.gov.ph and inquire. Your father wa not OFW, but he lived overseas, and you can get faster response from this email address. Ask your father’s SSS no. and no. of contributions. Write your father’s personal data: date and place of birth, names of parents, gender. Attach a scan or photo of your mom’s 2 photo IDs and her marriage certificate (to show her relation to your father). Your grandma and children under 21 are secondary beneficiaries — they can claim only if there are no primary beneficiaries. need help. my dad died in the states but he owned a business there in p.i a long time ago. would he have death benefits there and one more, my relative went back there a couple of months ago to claim my dad’s mom death benefit but they told me that, they need my dad’s death certificate to claim my grandmother benefit. I want to know if this is true or if they’re just deceiving me so they can claim my dad’s benefit. thank you. Hi teresa, I don’t know of any Philhealth burial assistance for the families of senior citizens. I’ve searched quickly and found out that the Governor of Bataan gives 2,000 pesos as burial assistance. Maybe other provincial governments have this program – ask your city or municipal hall. DSWD also gives a 2,000-peso burial assistance but only to the families of indigent senior citizens. I’ll add to this if I see something. Hi yumi, you’re right, even with St. Peter plans, you need to sign the plan papers. But depending on your purpose, and if you need to get a plan now, since St. Peter plans are assignable and transferable, you can let a family member buy a plan, and then transfer later on where you’re here. hello, can I get an insurance from St. Peter while I’m currently abroad? As I know, I can’t get an insurance (life, vul, term) unless I’m in the Philippines but I’m not sure about memorial/pre-need ones. What if the above ofw died after his contract.for example he’s ofw from 1990-1992,and he died last year.did his wife can get burial benefits to owwa? Hi rowena, yes, if the OFW was an OWWA member when he/she died. You can check the date of his/her OEC. Is there OWWA payment there? If his contract was for 2 years, and if he died within 2 years from OEC, you can claim. To be sure, you can ask OWWA with your IDs, marriage certificate (if spouse) or birth certificate (if child or parent) and death certificate, etc. Hi Jhun, yes, if you pay for Feb this Feb, your payment will be posted as payment for Feb. Did your wife register as self-employed using RS1 form? Does she have a Date of Coverage? Hi jhayjhay, yes, it’s sad, but there’s unfairness in almost every aspect of life. I don’t know how to respond to you correctly, but you can write your suggestions to our Congress and to news websites and online forums and social networks, and hope they might get heard. It’s true that for a member to get the maximum benefit from SSS, he should continue paying high or maximum contributions at ages 56 to 59.9. SSS should do more to inform all members about benefits and loan penalties. Hello. I was the one who processed the death claim of my father last year at sss. I read some of his records in the late 70s’ regarding same contributions amounting of 2 to 5 pesos till 80s’ turnout to 10php. At those times, the value of currency is different. What I’m puzzled about is that the value is the same up to now. What’s cruel is that they impose huge interests on loans, and to think that it’s the members’ money. But the contributions did not increase in value. Is that not unfair to us? Hi yen, sorry none. Philhealth is only for hospitalization/treatment assistance. 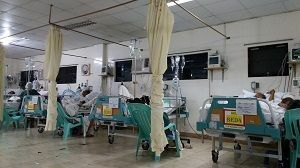 Is there really no death benefit from philhealth? Hi Edee, sorry the OWWA burial benefit applies only to the OWWA member, it does not apply to OWWA dependents. This means that the burial benefit is given to the dependents of the OWWA member if the OWWA member passes away. Hi bernadette, yes, your husband is your primary beneficiary and your parents are your secondary beneficiary. Secondary beneficiaries can only get benefits if there are no primary beneficiaries. Your husband can get a pension if you accumulated at least 36 contributions. He will use your marriage certificate. Do you wish that it will be your parents that will benefit? That will happen only if you’re living separately and your husband is not dependent on you. Hello. What if I haven’t written my husband as my SSS beneficiary ? Can he get something in case I pass away? Does he have rights? My Parents are the ones written as my beneficiaries. We are married but we have no children. Thank you. Hi Jojo, that’s a matter that his heirs will need to explain to the SSS EC officer handling his case. I know a pastor who drowned at 8pm while crossing a river to get back home. His heirs were able to explain that his working hours included that time he was crossing the river. Your friend’s heirs can argue that he was a personal driver, so his hours were flexible, and dependent on the travel needs of his employer. hi nora, i would like to clarify something regarding the SSS benefit of my friend who got a no fault vehicular accident. Is it true that his benefit will be doubled? he is a personal driver and his regular work schedule is 8am to 5pm. but the day before his accident his employer requested him to report at 4am but on his way to the house of his employer he got hit by an elf at about 3am. some say he is on duty but others do not consider it as on duty since he was still on his way and did not arrived yet to the house of his employer. could this be considered already on duty? Hi ejean, if the deceased member was employed or individual payor, his/her Philhealth can be used only up to the 4th month after the last payment. For example, July to Sep 2014 was paid. Philhealth can be used up to Jan 2015. Hi mar, yes, you’re right. SSS should improve their record keeping and claim processing system. If you’re able to submit the other documents (standard requirements), you should be able to claim. But what I can surmise is that SSS wants your list because they want to countercheck their online records, as their online records goes back only up to 1990. All records before this year are for manual verification. I think they need to know if they have to do manual verification, which takes them a very long time. tanong ko lang po bkit po sa sss ngaun, kaylangan n isa isahin pa ng kaanak ang mga napagtrabahuhan ng magulang bago nila irecieve ang appliction? para sa burial,lumsum. sa kalagayan po naming magkakapatid isa lang po natatandaan nmin.ibig sbihin po b non pag di nmin nsabi lahat ng nging compony e wala po kami makukuha.para po kasing taliwas ang mga islogan ng sss makatulong,masecure ang pamilya, sa nangyayari po ay torture.kasi imagine 2yrs palang ako ang ate ko 5yrs nong tym n un nauna ng namatay si nanay patay narin mga kasamahan nya dti,di po masama loob ko naguguluhan po ako sa istilo ng sss sana magbigay sila ng kongkretong paliwanag kasi po khit sino nahihirapan maliban cguro sa mga empleyado ng sss kasi parang sila lang nakakaalam.binubulaga lang nila mga pamilya ng namatayan. Hi Van, ask your barangay. Some barangays offer burial assistance to all, not only senior citizens. There are also elected city officials that help if asked. May burial assistance din po ba from SENIOR CITIZEN office sa mga brgy hall? Sabi ng iba, meron daw. Hi jiemar, sa SSS, kahit 1 contribution lang ang paid, qualified na for funeral benefit. About GSIS, hindi ko makita sa website ng GSIS ang eligibility requirements for burial. Pero dapat hindi 20-year requirement ang for burial. GSIS ang nagsabi sa iyo na ganon nga raw na 20 years? Baka baguhan lang yong napagtanungan mo. Tanggap ba ng mga members yan? Will get back if I see something. tanong ko lang po? Sa SSS ilang hulog ng sss po ba ng deceased member para maka avail ng burial benefits? At sa GSIS din? Kasi sabi sa akin nun ng GSIS dapat naka 20 years daw ang member bago maka avail ng burial/funeral service.